As a competitive swimmer, I learned to set SMART (Specific, Measurable, Attainable, Realistic, Time) goals. For example, when I was 10, my goal was to break a minute in the 100 yard freestyle, and I did it when I was 11. And then I wanted to break two minutes in the 200 yard freestyle, and I eventually did that, too. Later I wanted to break five minutes in the 500 yard freestyle. 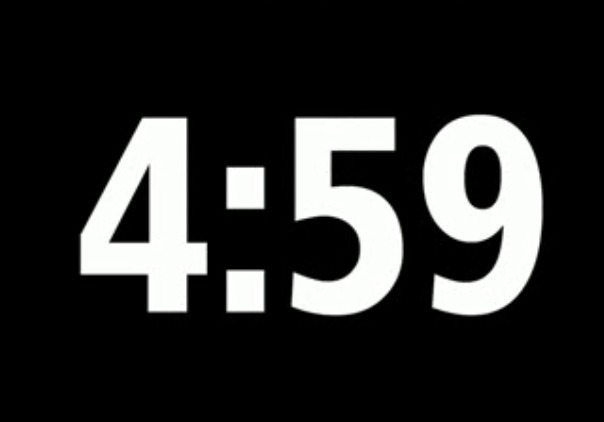 4:59. But I never did. At a 5:11, which I did as a 15-year-old high school sophomore, I never even got close. When I returned to swimming as an adult, I knew I’d have to set new swimming goals. There was no way I would ever be as fast as I was when I was 15, half my life ago when I trained 10 times a week, often 8 to 9,000 yards per practice. Plus weights. And some running. As an adult, even in “peak” training time, like when I trained for the 4.4 mile Great Chesapeake Bay Swim or USMS Nationals, I never trained more than three times a week, rarely logging more than 9,000 yards in a week, let alone in one workout. But I started to wonder: how fast could I be if I trained like that again? Could I ever train like that again? I found an old set of workouts that the college swim team coach sent home with us for a Christmas break. Last week, I completed one of the 5,000 yard workouts on the same intervals as I had in college with no problem. But, in college, I would have woken up the next morning and done another workout of the same caliber, and then again the next evening, too, and then again the next morning, and so on. Would I be able to do that again now? I don’t know. I mean, maybe. My body doesn’t recover as quickly as it used to, but maybe I could do it if I took time and built up to it. But why would I want to? What would be the purpose? I don’t know why I’d want to...but I want to! I want to know how fast I can be. I want to know if I could ever break five minutes in the 500 free. OK. That’s outrageous, especially considering that the last time I raced it I went somewhere around a 5:55. But...what if? Last year while hating my job and contemplating new career paths, someone suggested that I read Finding Your Own North Star: Claiming the Life You Were Meant to Live by Martha Beck. What I remember most was the discussion about Wildly Improbable Goals, which, as the name suggests, are goals that are wildly improbable—but not impossible. Beck states that when you write down your goals, you create a search image: “Forming a goal, especially if you write it down and visualize it, creates a search image that programs your brain to focus on anything resembling or leading to that objective.” She means that if you have a goal and mean to achieve it, you will start to find—and seek—ways to make it happen. So here it is: my goal is to break 5 minutes in the 500 free before I’m 40 years old. Look, I don’t actually think I can break 5 minutes in the 500 free. The top time in the nation in my USMS age group this year was a 5:16. A commendable time, but still a far cry from a 4:59. The national USMS age group record, however, is a 4:46.92, set in 2012. So...improbable—but not impossible—for a woman in her mid-30s to break five minutes in the 500 free. Although I don’t think I can break five minutes, I’m going to love trying to. I’m going to be wowed in some other way as I test myself and push my swimming body to the limits. For the first time in my swimming career, this goal feels like it’s more about the journey of accomplishing a goal, rather than about the goal itself. I have a lot of questions about how I should approach this, but I feel confident I'll find ways to answer them. I can’t wait to see what happens next.